Her victory was assured, but nobody knew what would happen after the mid-term elections with Alexandria Ocasio-Cortez. However, the now congresswoman has not disappointed those who follow her work closely, and since day one she has people talking. Through the resource that was the hallmark of her campaign, social media, Ocasio has led her followers through the experience of a 29-year-old woman who must move to Washington to fulfill the responsibilities and duties her voters entrusted to her. Ocasio also told the New York Times that, pending her first salary, she could not rent an apartment in the capital, and that her savings were destined to last until January, when she will receive her first payment. According to the BBC, "a one-bedroom apartment costs approximately $2,160 a month" in Washington. Considering that members of Congress "must maintain a house in their parliamentary district in addition to the one they occupy in Washington," it’s not surprising that Ocasio is facing her first difficulties in her professional life. 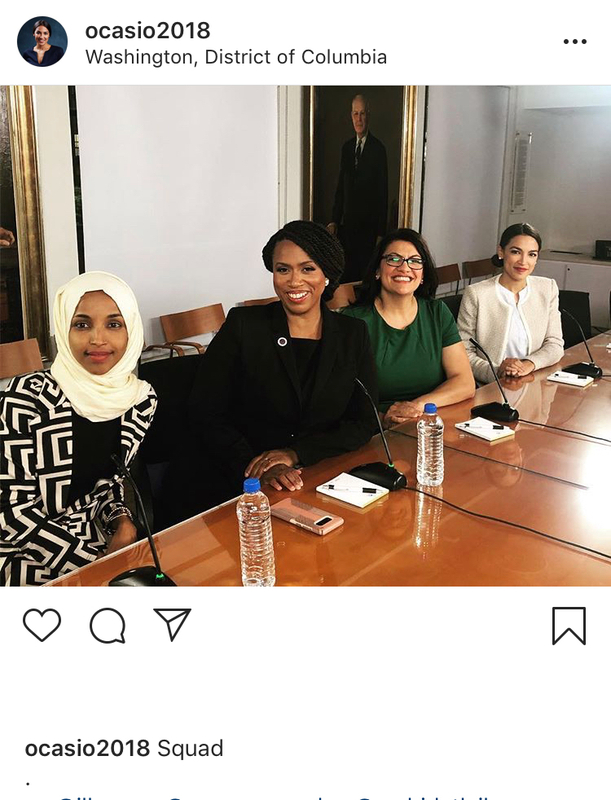 This has not stopped the congresswoman from getting down to work in her first week. During this Tuesday’s morning, more than 200 activists for climate change supported by Ocasio "flooded" the office of the Democratic leader in the House, Nancy Pelosi, “urging Democrats to act more decisively on climate change," Politico reported. Before law enforcement began arresting the protesters, Pelosi said she "welcomed the protest and called on the police to ‘allow them to continue to organize and participate in our democracy.'" For her part, Ocasio told reporters that "we need a Green New Deal and we need to get to 100 percent renewables because our lives depend on it." Echoing one of her campaign promises, the congresswoman added that "the IPCC themselves, they say we have 10 years left and I - not just as an elected member, but as a 29-year-old woman - am thinking not just about what we are going to accomplish in the next two years but the America that we’re going to live in in the next 30 years."